This BarCraft hip flask has a capacity of 175ml and is finished in a burnished gold metallic finish. 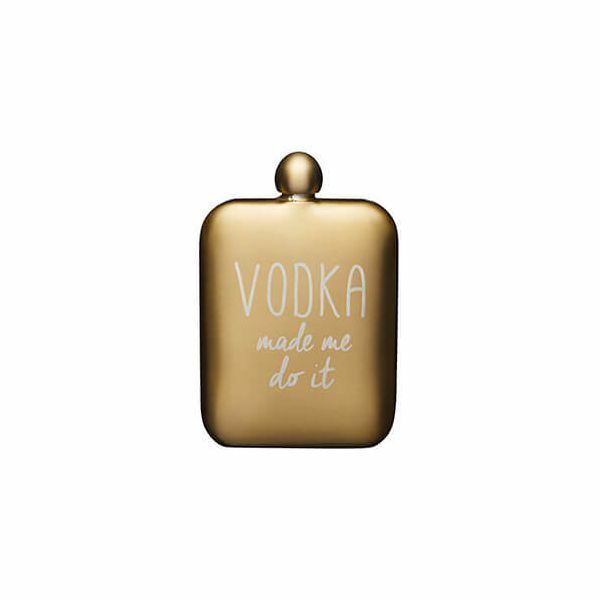 The hip flask has the slogan 'Vodka made me do it' on the front of the hip flask. Ideal for taking your favourite tipple to a party, this hip flask also makes a great gift for friends and family.